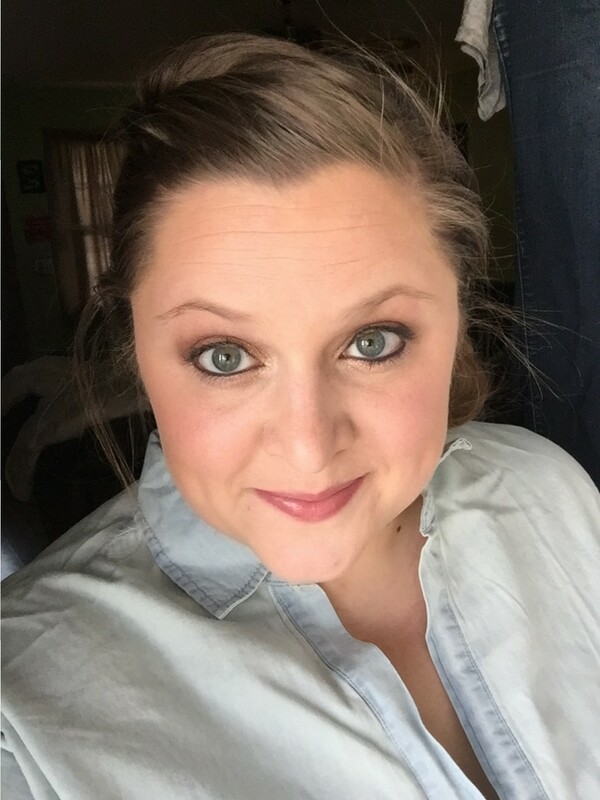 Like everything else on my site, Perfect Fall Shirts to Wear with Leggings is a post that contains affiliate links and links to other sites which contain affiliate links. I love leggings. I know some people walk around thinking that they’re not real pants and maybe that’s true, you know who doesn’t care?!? ME! If you don’t already have a closet full of leggings you are missing out. Now I know I’m in a different boat than most people. I work from home, everything the light touches is MY FREAKING KINGDOM. It’s pretty rad. You probably have to deal with a dress code everyday so you can’t always just wake up and pull on whatever crazy pair of leggings you want, I get that. 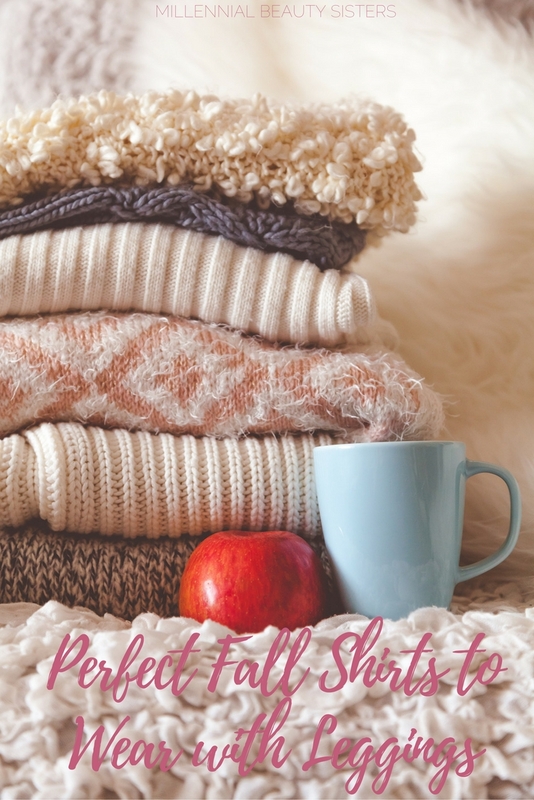 These perfect Fall shirts to wear with leggings will keep you warm, stylish, and they won’t break the bank! This top comes in a TON of colors and patterns. It has good reviews and you can’t beat the price. For right around $18 depending on color and size you can snag one of these tops to wear with your leggings this fall. I love it because it is flowing and long sleeved. Cozy but not a sweater. It covers all the important stuff so that you can wear it to work! This one looks cozy as could be! I’m definitely putting this one on my list to pick up the next time I’m out at Target. It’s a great length, it’s not too pricey at just under $30 and I’ll be able to wear it into the winter months because it’s a heavier material. I love that it’s a textured grey which will match so many of my crazy crazy leggings. One of the great things about shirts to wear with leggings is that solid colors go a long way towards building a capsule wardrobe. A few key pieces that will match EVERYTHING can change your life. Another awesome option that is made in the USA and it’s still pretty inexpensive. 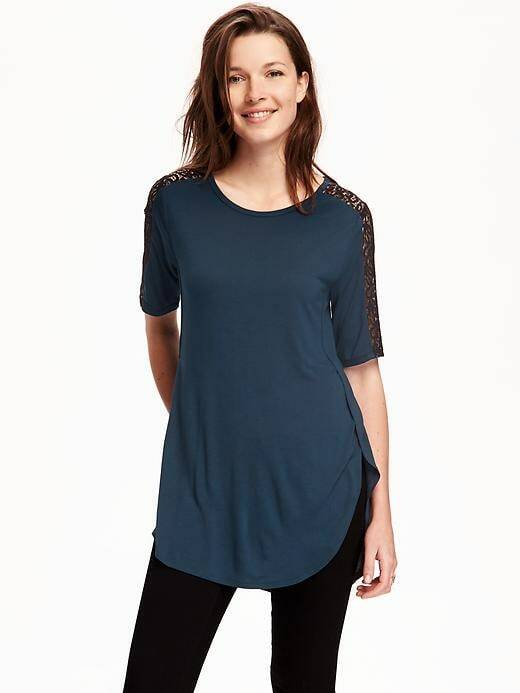 For less than $25 you can have a gorgeous long sleeved top that is perfect for fall. This is another great option as far as shirts to wear with leggings are concerned. It’s quite long and flowing. You can wearing it to cover enough in the front and back that there should be no issues or concerns with the dress code. I personally don’t worry about this so much. Neither of the dogs have complained about my persistently ignoring decorum in the office. If they’re going to lick their own butts I’m going to wear mismatched socks and PJ’s half the day! I have this top in grey and I love it. You will too! It’s comfy, easy to dress up or down, and it’s flattering for use as one of your shirts to wear with leggings. I love that it’s not frumpy or overly flowing. It has enough coverage that I feel comfortable wearing it with leggings and heading out for a night with friends or as something I can throw on to run errands. Very versatile and they’re on sale for $15 so snag one while you can! Can I just say something…sometimes the best shirts to wear with leggings are the baggy, casual, comfy beyond belief ones! That’s what this sucker is. It’s totally comfort and yet it still looks so good with leggings you can wear it out of the house without being worried about some old cat lady giving you the up down eyes because she’s “never seen someone wear pants with peppers on them”. WELL GET OVER IT LADY. Okay so maybe you might still have to deal with that. I’m not sure what it is that makes people think they have a say in what I wear but apparently the grocery store is the perfect place to correct a total stranger, keep that in mind. An open front cardigan is a must have if you are a leggings wearer. I have several and I love them. I can wear all my favorite shirts with my leggings and never have to worry about being appropriately covered up in case I need to leave the house. You’ll have to shell out a bit more cash for this one BUT it’s totally worth it. You’ll be able to recycle all your favorite tops back into the Fall and Winter wardrobe with the help of one or two of these!! I just love shrugs, They look so cool with leggings and provide you that amazing waterfall design from your sides. I have been trying so many styles, But my favorite one is my black leggings with grey shrug or a bomber jacket. Agreed! I love a cozy shrug or sweater for fall!